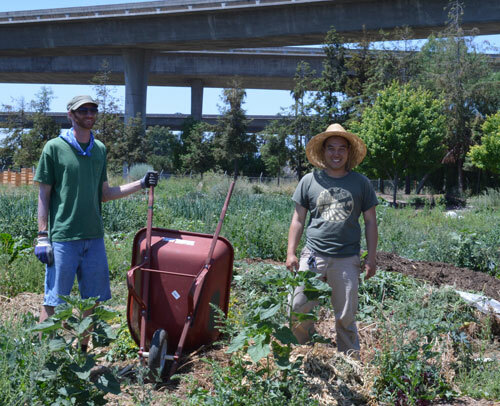 Coop Stop: Veggielution Community Farm! 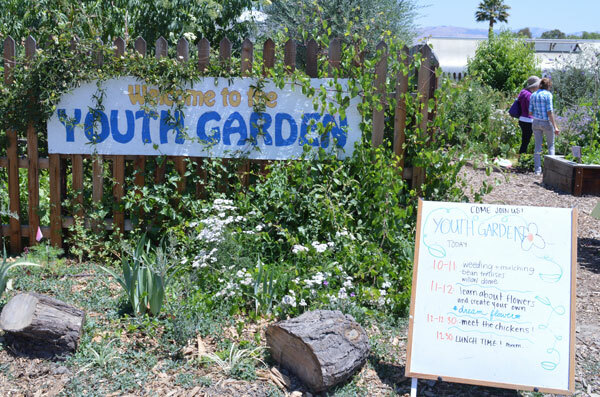 Veggielution is a unique community farm you do not want to miss on the coop tour. 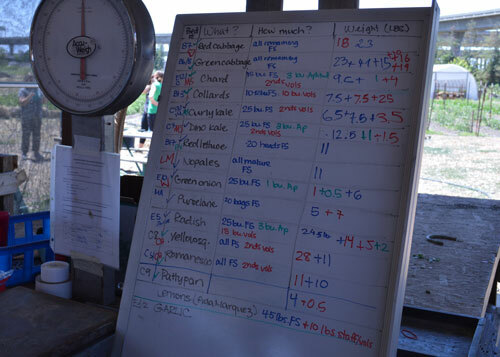 These photos were taken on May 31, 2014 during their Saturday volunteer event. 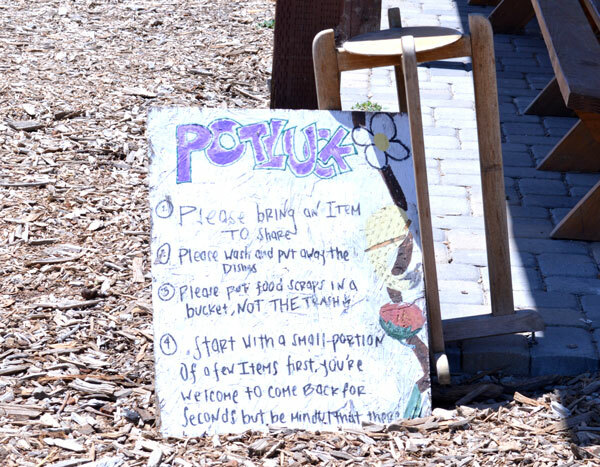 Each Saturday Volunteer event includes a potluck event. 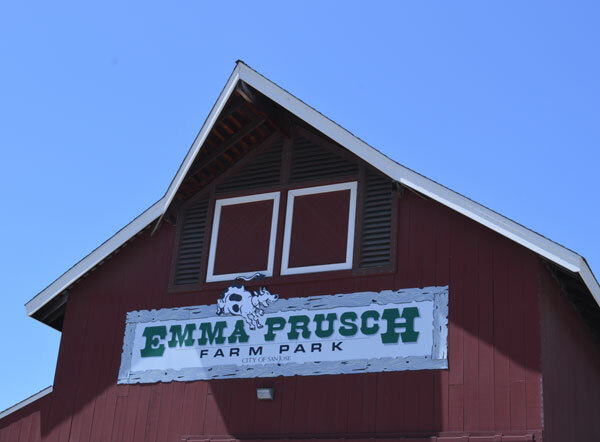 Also in the same complex as Veggielution is the Emma Prusch Farm Park for City of San Jose. 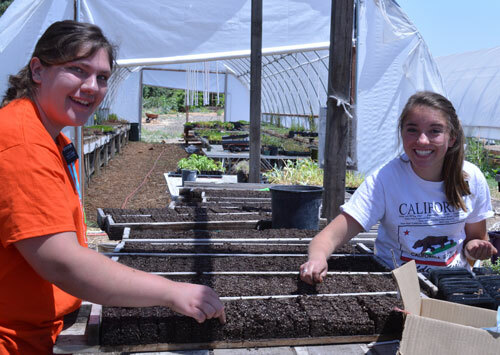 Volunteers adding to the compost pile. 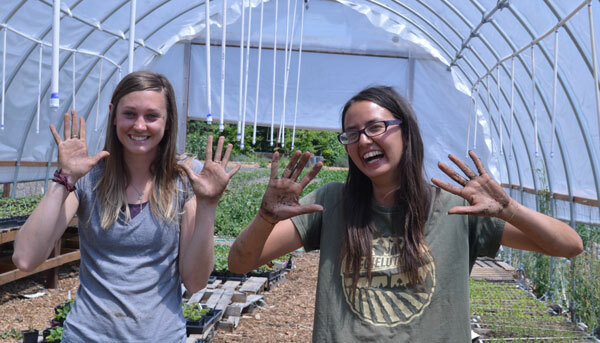 Hands get dirty at Veggielution! 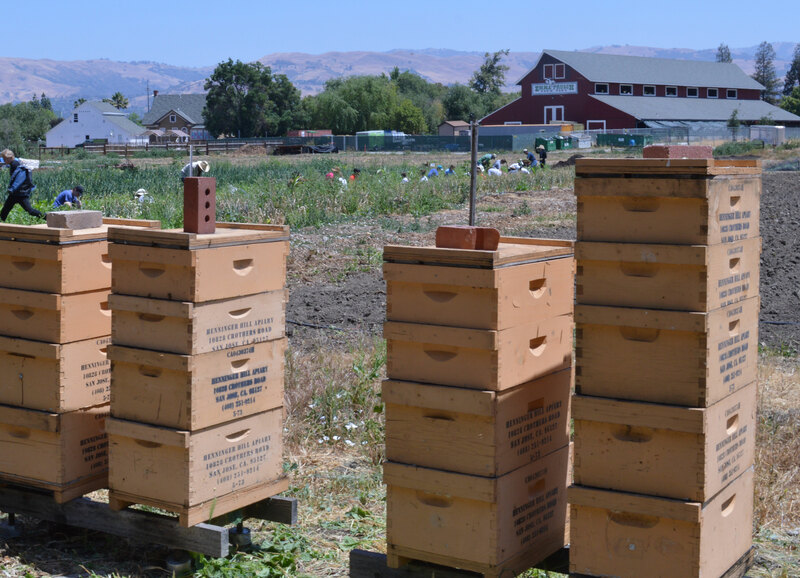 Bees should be part of any farm operations and Veggielution has hives. 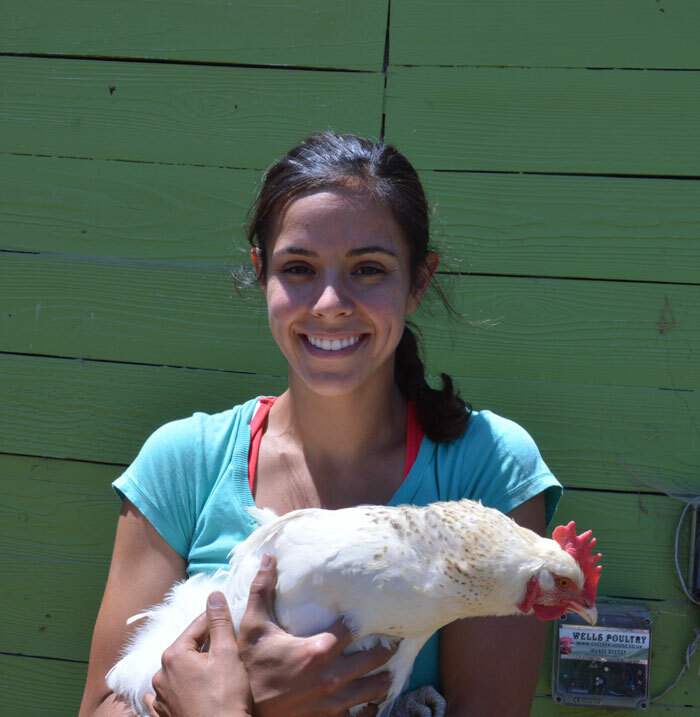 Veggielution volunteer helps manage the flock of 20 chickens and gives tours to visitors. 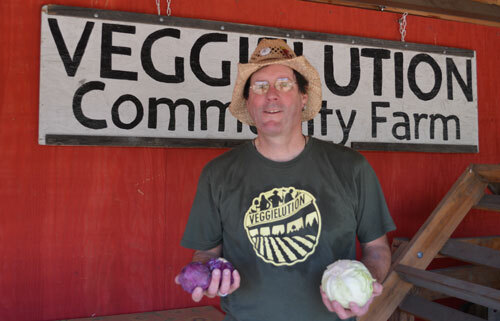 Veggielution is a working farm selling and donating it’s produce in various ways.